WE always use to make idli upma with the left over idlies. But I am not a big fan of idli upma but my hubby and kid are ardent lover of idli upma. 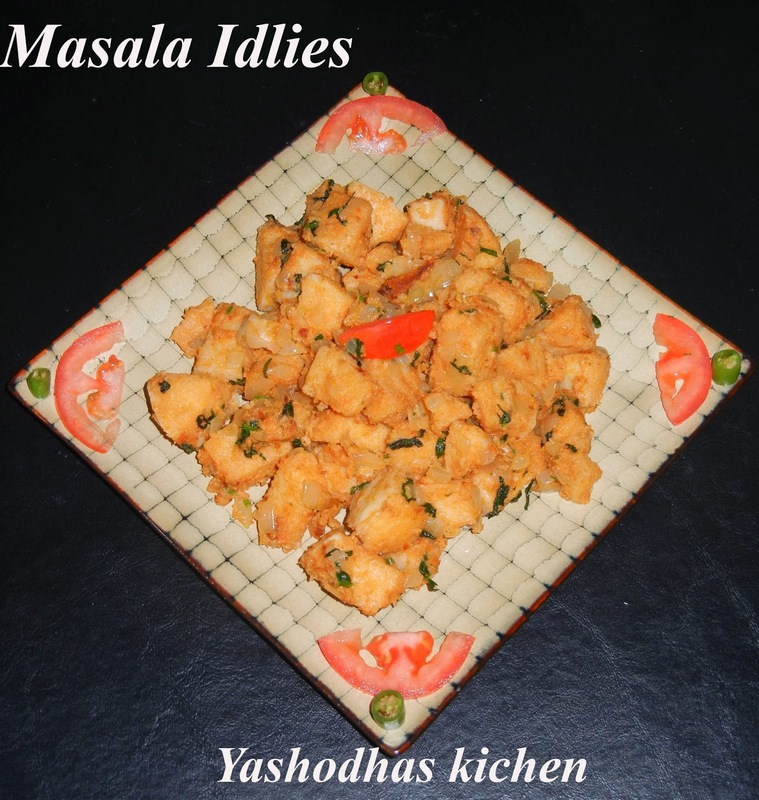 I thought of making something different with these idlies according to my taste buds. SO I just tried this recipe and turned out delicious. My kid loves this very much. Please do this recipe using butter. Then only you would get better taste. IF you are not suppose to use butter, go with any cooking oil. I am sure that will reduce the taste than butter. Cut the idlies into small pieces. Grind all the ingredients under the heading 'To grind'. Keep it aside. Heat the pan, add butter, once it melts, add onion and fry until its transparent. Then add the ground masala to the same pan and fry until the raw smell goes. Finally add idli pieces to the masala and mix well. Wow! Perfect and good one !